Instagram/@cristianoRonaldo’s Nike endorsement alone pays $13 million a year. Footballer Cristiano Ronaldo is 2016’s highest-paid athlete of any sport, according to a report by Forbes. Thanks to the retirement of boxer Floyd Mayweather and injuries hampering the career of golfer Tiger Woods, Ronaldo took the top spot with annual earnings of $88 million (£61 million). It’s only the second time an athlete from a team sport has topped Forbes’ list since it began ranking sports earnings in 1990 — the first being basketball player Michael Jordan. 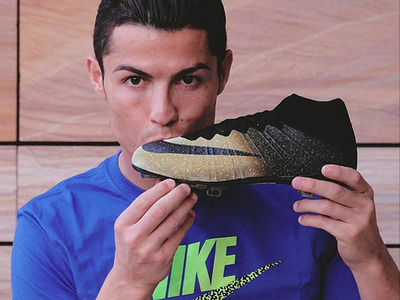 Ronaldo has commercial endorsements to thank for getting him the top spot — they make up a massive $32 million (£22 million) chunk of his income. As well as a $13 million (£9 million) a year contract with sportswear giant Nike, Ronaldo also has deals with Tag Heuer, Herbalife, Pokerstars, Clear Shampoo — as well as his own range of cologne and menswear. Part of the attraction companies have for Ronaldo is his huge social media presence: 43 million followers on Twitter and 112 million “likes” on Facebook. Forbes estimates that all of this adds up to $176 million (£122 million) in media value for all his promotional posts. There’s also, of course, his Real Madrid contract, which pays $50 million (£35 million) a year in salary and bonuses. Ronaldo’s record for the club suggests it was money well-spent — since joining in 2009 he’s scored 260 goals and helped win the team two Champions Leagues.